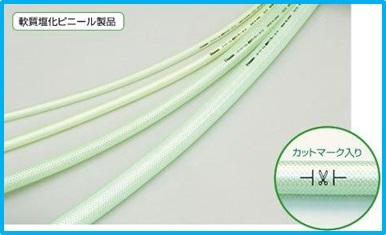 Super Tom Oil resistance Sun Braid Hose – We are a trading company of industrial products. Superior in oil resistance of the specialized resin used. Use this hose for color coding with the MEGA Sun Braid Hose. For water supply of machines and factories, air piping, and water supply for engineering, and construction sites. 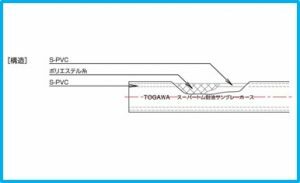 Superior in oil resistance, which is appropriate for lubricating oil piping. Can be used for color coding with the MEGA Sun Braid Hose.